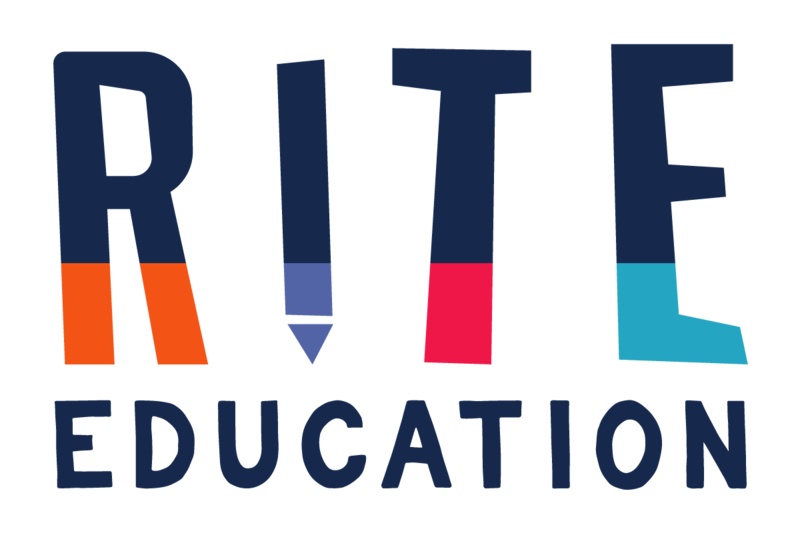 RITE Education, (previously known as RITE Education Consultancy PLT) is a fully owned subsidiary of RITE International Incorporated, and continues the work of RITE Education Consultancy – established in February 2016.  RITE Education offers a range of bespoke sustainable solutions to 21st century challenges in learning and leadership for schools, colleges, universities, governments, NGOs, associations and companies that enables you to achieve your aspirational goals through research, innovation, transformation and empowerment – the four pillars upon which the RITE Education Group of Companies is founded. Our promise to you is to provide you with powerful solutions that are right for you and sustainable both in the immediate and long term. We achieve this by not only meticulously researching the problem at hand and developing custom innovations that are specific to your needs, but more importantly and guided by our mission to build capacity on the ground, by transferring knowledge and skills to you and your educational environment in a dynamic and self-actualizing way that enables a empowering transformation. We are not interested in quick fixes and an ephemeral exchange with you. We are committed to building a lasting relationship with you. When you become a client of RITE Education, you will have an ally for life. Our engagement with you does not end at the close of our contractual agreement. Ours is a life-long commitment to you, a sustainable alliance. RITE Education has a liquid workforce, comprising of a large network of local and international RITE Associates. Our education experts from around the world adhere to strict quality guidelines and standards that are set by us. We bring to each and every consultancy project we take on, the best international expertise alongside the best local expertise to ensure that solutions are both sound locally and internationally relevant for a globally interconnected world. Research-based solutions that reflect international best-practice and local realities. Innovative approaches that embed global trends in education. Sustainable change practices that are driven through capacity building. Empowering the individual to take ownership of learning leads to sustainable and embedded life-long success. "Doing it the RITE way"
Extensive experience in private and public education training, management, development and international transformation projects in Malaysia, the United Arab Emirates and South Africa. A passionate educationalist who upholds two fundamental principles: Capacity Building and Sustainable Solutions, with a relentless focus on the creation of cultures of continuous thinking and learning. Elmarie’s approach to transformation both in the corporate and education field, is grounded in a deep understanding of the learning needs of adults and children and the belief that change should be embedded through a comprehensive bottom up and top down strategy that involves all stakeholders understanding and commitment to change. From 2011 to 2015 she led the LeapEd Services Education Development Team responsible for the design and implementation of the Yayasan AMIR Trust Schools Programme. This Programme aims at finding a sustainable solution to transformation of Malaysian public schools in order to provide an equitable, meaningful and relevant educational experience to all students, regardless of socio-economic status or geography. Other projects in this roleÂ included the development of SOM: a framework for the measurement of holistic student outcomes in 6 domains as defined by the Malaysian Education Blueprint as well as projects aimed at national education transformation such as Project PreSTasi, involving 426 Malaysian principals and coaches, Project GUSTO, a collaborative project with Teach For Malaysia and Yayasan AMIR and collaboration with ELTC and PINTAR. Elmarie is regularly invited to participate in panel discussions and to present on topics such as school transformation, promoting a thinking culture, emotional intelligence, brain-based learning, engagement and social networking. She is an accredited Emotional Intelligence Coach and with RITE Education Consultancy aims to continue her mission to improve the world through education. She welcomes collaborative initiatives and dialogues about new trends in professional development. Rory Mooney has been actively and passionately engaged in education for almost forty years. He has experience of working in various roles in numerous countries in Europe, Africa, Asia, North America, and the Middle East. He has successfully and effectively held positions as a teacher at the primary and secondary school levels, as a primary school Principal, as a college lecturer, and as a university professor at the University of California, Riverside (UCR). In addition, Rory has held senior positions as Head of Service and Director in school districts in the UK and the US, worked in the private sector with Nord Anglia Education as Director of Professional Development, and in the non-profit Foundation sector with the International Baccalaureate Organization (IB) as Head of Access and Product Development. Rory holds a Bachelor’s degree in History from the University of London and a Master’s degree in Educational Leadership from the University of California. He has also been awarded the National Professional Qualification for Headship(NPQH) in the UK, and a School Administrator Credential in the US. Rory also holds a Product Management Practitioner Certificate from the UC Berkeley Center for Executive Education, and PRINCE2 Project Management Foundation and Practitioner Certificates. Throughout his extensive career, Rory has demonstrated strategic and operational skills in the design, development, and delivery of system and school transformation and improvement programmes, and effective leadership of the development of school leader and teacher professional development programmes, curriculum and assessment products, and learning and teaching resources. Rory is a creative and critical thinker with proven ability to provide strategic insights and thought leadership. Moreover, he is a highly competent communicator with a deep passion for providing high quality learning opportunities and experiences for all learners but has focused particularly on the needs of low-income, underserved, and at-risk students. Perhaps most importantly of all, Rory is the proud father of three wonderful, hard-working and caring sons. Debbie is a Senior Executive with over 20 years Corporate Finance and CRM experience in managing large portfolios of Corporate and Business clients. She has over 4 years Operational and Client Management experience in Contact Centre Management at Director Level. She is a strong, business minded, diplomatic leader able to translate business strategy into practice through effective communication and team work. RITE Associates are highly qualified and experienced practitioners with a track record of success in the field who provide expertise in a vast range of areas – both online and face- to-face, depending on the needs of the client. Our Associates are the best education and training specialists in the world. They have all been screened by us to ensure that we provide you with the expertise in the field you require. In order to guarantee best results and the highest quality of service, all of our Associates are not only specialists in their field, but also trained and accredited in our methodology. In addition, we require that all our Associates abide by our code of conduct. Sheila Ganesan hails from generations of educators and trainers. Beginning with teaching English in a public secondary school in Sabah, Malaysia, and then moving to an international school in Kochi, Japan, she has more than 16 years of experience in the education field. She went on to do academic counselling and marketing with the University of Nottingham. Sheila then pursued the field of leadership development in the form of coaching and training future teachers in planning, literacy, pedagogy and classroom management with Teach For Malaysia Foundation (TFM) working with Cohorts 2013 and 2014. Her knowledge of the Malaysian system and command of both English and Bahasa Malaysia allowed her to progress to curriculum design and government relations for TFM. Sheila qualified with a Bachelor of Education in English (Literature and Linguistics) with Honours as part of a twinning programme offered by the Malaysian Ministry of Education between the Specialist Teacher Training Institute in Kuala Lumpur and the University of Otago, Dunedin, New Zealand. She is currently completing a Masters in Educational Psychology at University Malaya in Kuala Lumpur. Sheila has been involved in publications, which include serving as Creative Director for the book “Stalwarts of Faith: A pictorial history of the first two decades of the Bahá’í Faith in Malaysia “, and Editor and Proof reader for the Volunteering for International Professionals (VIP) Project Coffee Table Books for 2015, 2016 and 2017 under the Malaysian Ministry of Finance. Her passion to help communities grow is evident through her involvement in community building initiatives focused on youth development through FLAME (Foundations for Leadership and Moral Empowerment), White Lily, and the Bahá’í community. Even as a youth, Sheila has been involved in training and development by conducting programmes for youth within the Bahá’í community, as well as the Service Director for the Interact Club in her secondary school. Throughout her career, Sheila has demonstrated successful skills in conceptualising, developing and delivering programmes, from personal leadership, school leadership, teacher development, community development and youth leadership. She is organised and passionate, with a strong belief in the power of communication and capacity building through accompaniment. Lalitha is an educator with vast leadership, consulting and teaching experience in the UK and Malaysia. She holds an MA in Education ESOL and BA (HONS) in Education from the University of London Institute of Education, as well as a variety of qualifications obtained in Malaysia and the UK. During her successful career in education, she served as Education Adviser for LeapEd Services Malaysia, working in the Trust Schools Project across schools in Kuala Lumpur. Prior to that she served as Head of Junior School of Mutiara International Grammar School, Kuala Lumpur, Key Phase Coordinator of Sudbury Primary School, Middlesex, UK and taught in several UK Schools as primary and secondary school teacher across a range of curriculum areas for more than 17 years. Lalitha also worked as teacher in Malaysian Government schools as English, History and Mathematics teachers. Some of her career highlights were the development of Literacy and Maths policies for UK schools, successful leadership of Maths departments during OFSTED inspections in the UK, as well as her work with refugees from Sri Lanka, Africa and Eastern Europe. She brings with her a depth of curriculum and school leadership experience and is well known in education circles for her insight, deep knowledge of both the Malaysian and British Curriculum and her excellent people skills. Margaret Corcoran is an educational strategist with over thirty years experience leading and supporting national and international P- 13 schools in Australia, the Middle East, Turkey, South Africa and recently East Africa. Such experience has given her a rich understanding of a variety of curricula including the IB, American Diploma, British, IPC as well as a number of national curricula. She also has significant experience in developing and managing educational companies offering a range of education solutions. Previous roles include Strategic Education Consultant, CEO/Consultant Head of Education, Executive Director and Executive Principal. Educational Philosophy: I believe all student have the capacity to learn and it is the teachers’ mandate to ensure that lessons are differentiated and progress and attainment is tracked to ensure the needs of the child are met. As a school leader, I aspire to be a learning leader focused on the progress of students. Professional Skills Leadership Skills: I have acquired substantial and highly successful leadership skills as an Advisor, Teachers’ Coach and Advisor across Cultural and Educational Domains. I am proactive in managing change, developing initiatives and providing strong educational leadership in supporting the implementation of continuous school improvement practices. Interpersonal Skills: I have a solution- focused approach to challenges, high level skills in negotiation and liaising between stakeholders. I have a strong ability to develop the skills, knowledge and understanding of all members of the team. I build strong positive relationships to improve outcomes across the school. I am a culturally responsive practitioner who values cultural sensitivity and diversity. Sound understanding of Education reforms and influenced significant changes in teaching pedagogy in English within schools in Abu Dhabi. Organizational Skills: I am highly organized and time efficient with a commitment to ensure that quality deadlines are met and all resources human and material are utilized to the optimum advantage. I have the ability to identify needs, then develop and implement appropriate strategies to quickly improve practice or resolve issues. Nor Azian is a seasoned Malaysian teacher and part time lecturer. She has taught English for the past 36 years and served as examiner for written English in the SPM exam for 20 years. She is also a part time lecturer at the Institute Technology, Perak Ipoh. Nor Azian is an outstanding translator and has a deep understanding of the Malaysian curriculum. Rebecca is a UK educationalist with extensive educational experience in both a teaching and advisory capacity in the UK and internationally in both the public and private sectors. Working as a Local Authority Advisor Rebecca provided guidance and professional learning to early years educators and leadership teams across the borough relative to the needs of schools, local and national initiatives and statutory requirements. She further designed and delivered a range of training courses including; Drama in the Early Years, Messy Play and the Foundation Stage Profile. Rebecca has worked on three school transformation projects internationally in; Qatar, Al Ain and Malaysia and as a result has raised student achievement and sustainable improvement in learning and teaching accross these projects. This was achieved through the design and delivery of Professional Development for teachers and school leaders, advising and guiding leaders and teachers in relation to the school improvement process, curriculum planning and teaching methodology. She has authored and contributed to numerous Professional Development Programmes, training modules and publications including; TeachSmart, LeadED & MidLED, The Good Practice Guide and The Foundation Curriculum for Qatar and relating training materials, and an early years assessment tool Celebrating the Learning Journey. I am a passionate educator with 12 years of educational management experience in South Africa and the United Arab Emirates. I believe that the emphasis in education should be on learning and not teaching. We are living in a world that is changing faster than we can imagine and as educationists we need to constantly innovate and provide the learning experiences that will equip our students with 21st century skills needed for an ever evolving future. I have a proven track-record of leading schools where learning is facilitated in a way that changes the destiny of the learners. Helen Maffini is an experienced educator with over 20 years of experience in the field. An expert in Social Emotional Learning and Early Childhood Education, Helen has a wealth of experience around the globe. A former school principal, Helen has also worked in large scale education reform projects in Senior Leadership posts. Helen currently consults a variety of schools and kindergartens on school improvement, curriculum development and programme implementation. Helen holds a M.Ed in and is in process of obtaining her Doctorate of Education. She holds certifications in NLP (Neuro Lingusitic Programming), Emotional Intelligence, Positive Psychology, Developmentally Appropriate Practice, and Project Management. Helen is the author of the following programmes: MindWise Education, Mindfulness for Preschoolers, Elementary, Secondary, Parents Happy to Be Me: Social Emotional Learning for Preschoolers, Elementary, Secondary, Parents Little Leaders: Leadership for Preschoolers, Elementary, Secondary, Parents Parent and Toddler Programme, Love my Literacy, I love Numbers, I am a Scientist. An international educator with extensive experience in educational research, curriculum design and programme implementation, Helen served as a principal in the UK before moving into system leadership. Focusing on research and school improvement, she was part of the team that opened England’s flagship National College for School Leadership to support and train aspiring and established school leaders. She later joined the English government’s Qualification and Curriculum Authority and served with Sir Jim Rose in undertaking a systematic review of the English National Curriculum. Transferring to a different national context, Helen worked with the Australian government in developing the country’s first National Curriculum for Geography and Business Education. She later joined the International Baccalaureate (IB) as Head of Programme Development andsuccessfully conducted the first, substantive review of the organisation’s Primary Years Programme. The review resulted in detailed proposals for the modernisation of the programme and changes to the framework of IB Standards, Practices and Requirements to increase access for a wider range of schools and students. An experienced consultant, Helen worked with Nord Anglia Education to develop the first bi-lingual international curriculum for Chinese International Schools and continues to support the group through their Leadership Development programmes. With a passion for early years education, Helen is currently advising Fieldwork Education with their International Early Years Curriculum and is consulting a wide range of schools and settings on how to transition from the International Primary Curriculum and implement this brand new and exciting programme of education for younger students. She has successfully authored a series of e-learning resources, webinars and professional development opportunities tosupport programme implementation and launched these at the 2016 Festival of Learning in London. Helen has an Honours degree in Education and a Masters degree in Business and Administration. She holds the National Professional Qualification for Headteachers (UK) and has dedicated her professional career to providing the best possible educational experience for learners age 2 to adult. She believes passionately in the potential of education to transform lives through curriculum that spark the imagination and which capture the hearts, minds and creativity of those that teach and those who learn. Malcolm Nicolson is the director of Erimus Education. After teaching in the UK, Bahamas and Thailand, he became Head of MYP Development for the IB (International Baccalaureate) from 2007 till 2013 and Head of Diploma Programme Development from 2013 to 2015. Malcolm was responsible for curriculum development across MYP and DP, including all subject review. He led the MYP curriculum development department through a relocation from Cardiff to The Hague, and initiated and directed MYP: the next chapter, the first whole programme review conducted by the IB. Malcolm designed the new curriculum as part of a high performing team, a conceptual model with an emphasis on skills. He was involved in the development of the new eAssessment model for the MYP. As Head of Diploma Programme (DP) Development, he introduced ATL (Approaches to Learning) to the DP, revised all departmental review processes, and initiated research into student workload and flexibility in the DP. Erimus Education is an educational consultancy offering bespoke services, specialising in school support for IB programme implementation. Malcolm supports development of digital publications and online professional development and has worked with: IB schools; Fieldwork; the Ellen MacArthur Foundation; national curriculum development in Kazakhstan and Malaysia (as an associate with RITE Education); lectured Master’s students in Japan; supported educational app development; and has given regional association keynotes. Malcolm has achieved the following qualifications: BSc. (Hons) Ecological Sciences from Edinburgh University, UK; PGCE (Biology and PE) at Newcastle University, UK; MA in International Education from Bath University, UK; and MSc (distinction) in Energy and Environmental Management from Teesside University, UK. Ann Little is an international education consultant who has over 25 years of experience in the education field, as a classroom teacher and project facilitator/manager. She has a strong background in SEN, literacy and education transformation projects. Ann is passionate about making a difference globally within the education field. She was awarded her MA in Education Leadership and Management in 2010 from University of Roehampton in London, UK. Ann is both a visionary and transformational leader who has proven her ability to succeed in driving change and school transformation with diverse populations at an international level. She is a versatile professional who is committed to improving opportunities for students to access quality education globally. As an associate with RITE Education, Ann is working with the NAMA EduLead project, delivering training modules for selected leadership coaches in Indonesia. Previously, she has worked as an Education Advisor with the Yayasan AMIR Trust Schools Programme, an education transformation project focusing on whole school reform with government schools in Malaysia. Ann also worked as a programme facilitator and trainer with Project PreSTasi, focused on improving skills of the senior leadership teams in 100 Malaysian government schools with a “top-down” approach to school transformation. This role provided her with the opportunity to work in partnership with MoE officials at all levels. Ann successfully provided support to drive change through building leadership capacity and ensured these schools met set MoE targets. Her previous work outside of Malaysia includes two private international school start up projects in Saudi Arabia and Qatar. In addition, Ann has an extensive background in the SEN field both as a teacher and project manager. She successfully led a large-scale SEN literacy project with Hillsborough County School District, Florida, the 8thlargest school district in the United States. Under her leadership, the project grew to provide services to over 5,000 SEN students in 100+ schools. Liza Mohd Zaini is a Language and Literature graduate with passion in teaching, writing and learning design. Liza has been in the education industry for more than five years. Liza’s career objective includes applying her knowledge, skills and competencies in learning design, online course development, and project support. Liza’s former role at UNITAR International University as a Tutor for English for Mass Communication, Educational Technology, Business Communication, and Event Management has improved her skills and competencies in utilizing 21st century tools and software for teaching and learning. Seconded to Learning Designer at UNITAR, she has developed a number of courses for online learning based on assigned content. She has also conducted training on learning management system (LMS) for academicians and students and was assigned to support MetroTAFE Australia project in an online course development for Hospitality programme. Her previous role at REAL Education as Learning Associate/Content Writer gave her a brief opportunity to lead an Ed Tech project where she has learnt to utilise Google Classroom for teaching and learning and provided support for curriculum writing. At LeapEd Services, her previous project support experience involves supporting Education Development Division with preparation of training materials for Yayasan Amir Trust Schools Programme and special projects. At the beginning of her career, Liza taught English for Interactive English Course at Minda Jaya Language Centre and her students were mostly international students. She then pursued her career to lead a Learning Video project at Creative Dreams International where she was assigned to oversee the development of online tutoring and proofread materials used for online teaching and learning. Liza has also taught in two secondary schools as a temporary teacher for language subjects. As a freelancer, Liza has supported a local university online course development for Master’s Degree programme. At RITE Education, Liza provides support in translations for Genosis Project as a RITE Associate. Liza has been certified as Google Certified Educator Level 1 in February 2018 for displaying the fundamental understanding, skills and competencies required to implement Google for Education Tools. Liza has also received certifications for Instructor Hands on Training for LMS and Versant English Test by Pearson. Liza graduated with Bachelor’s Degree of Education at Universiti Tun Abdul Razak majoring in Language and Literature (Hons) with flying colours in 2012, where she was acknowledged twice with Dean’s List Award in 2010 by Faculty of Education and Social Science. She began her Bachelor’s Degree programme in 2010 after successfully completing a short Foundation course in Management in 2009. © RITE Education Sdn Bhd 2018-2019. All Rights Reserved.